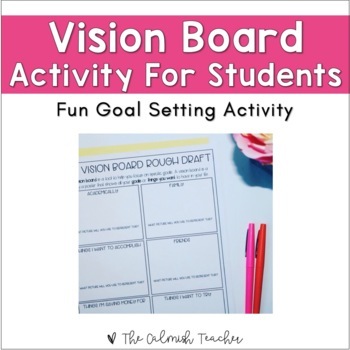 As the school year resumes after the new year, teachers are often looking for activities for students to record their New Year's Resolutions. 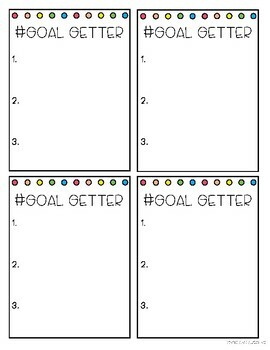 However, I think it's important for students to record their goals ALL year and be aware of the necessary steps to accomplish their goal. If you're interested in reading about how I implement this in my classroom, take a look at my blog post here. 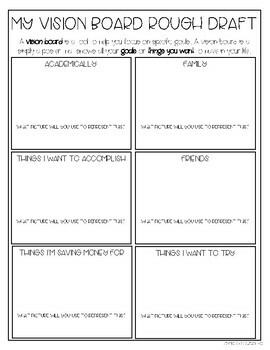 I use this resource daily/weekly for students to record the tasks they'd like to accomplish that day. I hope your students enjoy this FREEBIE as much as my students have!